African Domain Names: Is the name "Olympic" the Property of the International Olympic Committee? Is the name "Olympic" the Property of the International Olympic Committee? I have been following up with great interest the "request" by the IOC and and the Red Cross to have all their names and terms associated with their names in all languages protected in the second level in the new gTLDs program. The IOC it seems, is claiming all "Olympic" words in any language as its intellectual property; it's a very hot topic and one that the Government Advisory Committee, GAC, has embraced with a misguided passion in the last few months to the launch of the new gTLD pogram. 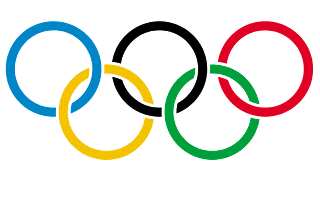 While researching the topic, I bumped on a post by Konstantinos Komaitis titled "Olympic: a Greek Word - The Mistake the International Olympic Committee makes." which puts some very good perspective into the issue. It's debate I have witnessed in Africa too with regards to .africa Top Level Domain where the African Union for example, was on the verge of appropriating the word "africa" as its trademark. Can any one organization claim a geographical or historical name as its sole trademark? Don't the 1 billion Africans have the same rights as the AU to "africa"? Certain arrangement of words form a trademark. For example, if I registered AfricanUnion.com and showed bad faith usage of the domain or applied for a .AfricanUnion(dotAfricanUnion) new gTLD, I would clearly be infringing on AU's rights. I am Greek and up until this stage I was not aware that the word 'Olympic' and every variation that derives from it, is the exclusive verbal territory of IOC. Actually, until recently, I believed that the term 'Olympic' with all its variations belongs to the Greeks - not in some elitist, unique sense of dominium , but as being part of the wider historical culture of Greece. I really did not want to indulge in a debate concerning the ownership of any word with historical and cultural connotations, but, since IOC is talking about ownership of the term 'Olympic', let's talk about true ownership. From a historical and cultural point of view, the term 'Olympic' is Greek; it is ingrained within the Greek culture and its significance for the Greek language is invaluable.I have grown up and have been educated using the word Olympic in various forms and fashions. At school, I was taught Lesia's Olympiakos speech and visited the area of 'Olympia', where the first Olympic games were held; I climbed the mountain Olympos with my friends and have travelled with Olympic Airways; I cheered for my football team against Olympiakos inside the Olympic stadium in Athens. I have never felt any sense of guilt or intimidation when using the term with its multitude of variations and I believe no Greek has either.So, why should I feel it now? This is, essentially, what the International Olympic Committee suggests in its correspondence to ICANN. The fact that in the United States, the Olympic and Amateur Sports Act recognizes and protects the term as unique, to me, being Greek, means nothing. I really cannot understand how IOC can claim ownership and demand exclusive protection without considering the implications - historical and cultural - that this can have. I wonder whether they have gone to the trouble of consulting the Greek government. What IOC is proposing is not only unreasonable but also illegitimate. What IOC is suggesting is simple and it is the wishful thinking of all trademark owners: the addition of the term 'Olympic' with all its variations (including, but not limited to, Olympiad and the Olympics) in a reserved list. So, in simple words, me being Greek, I will not be able to register any domain name that is close to the term Olympic. I believe the problem is obvious as is the question: why should IOC receive this kind of protection? It should not. I am not saying that the term should be an open field for abusive registrations, but this is a far cry from IOC trying to establish exclusive rights on this word. This is the inherent problem with the bargaining power the trademark community has upon ICANN. This has always been the problem and is now getting worse. So, IOC is mistaken and I am certainly biased in this case. But, the truth is that I have every right to be. Just to remind Konstantinos, "Olympic" is no longer just a Greek word but a human word :) . I too would like to register an "olympic" domain for legitimate usage for some crazy ideas I will dream in the future which by the way are totally unrelated to IOC! Is the IOC justified in demanding the protections for "olympic" names? in the new gTLD process?